Produced in the Dominican Republic at Tamboril DBL S.A.,the Edicion Maduro 1962 was released at the end of 2014 by La Hoja Cigars. The Edicion Maduro 1962 is available in four frontmarks and carries a premium price tag between $11 and $13.50. Available vitolas include: No. 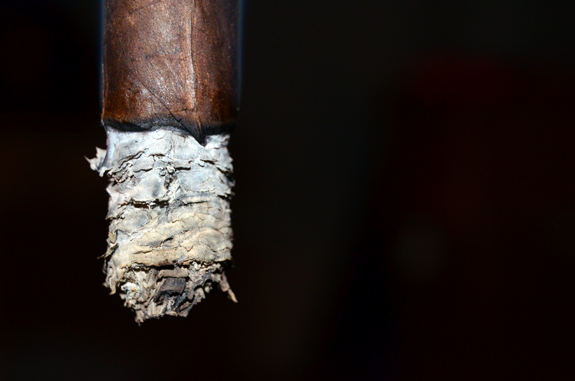 1 (5 ¼ by 52 Robusto), No. 2 (5 ¼ by 54 Belicoso), No. 9 (5 ¾ by 56 Toro), and No. 6 (6 by 60 Gordo). 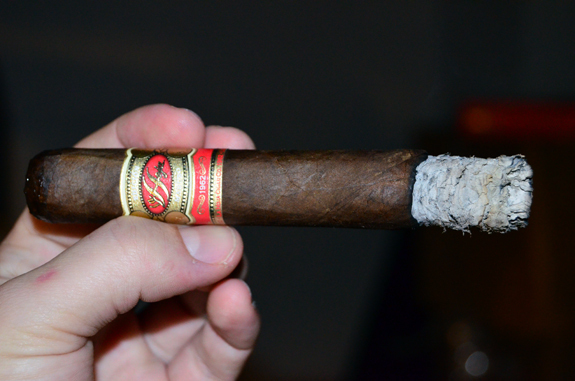 Up for review today is the La Hoja Edicion Maduro 1962 Toro. 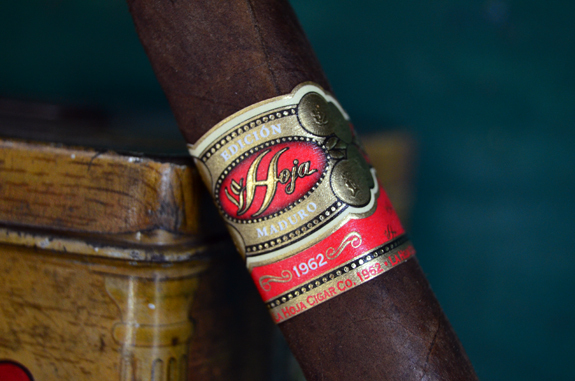 La Hoja Cigars has announced the launch of its new La Hoja Edición Clasica Maduro 1962. 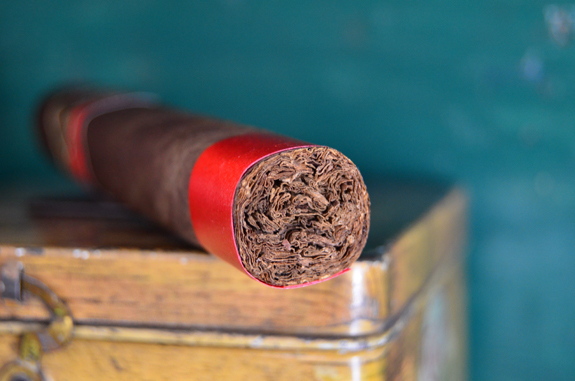 The Edición Clasica Maduro features a San Andres wrapper over a Dominican and Nicaraguan tobaccos. Earlier this week, an Ecuadorian Corojo counterpart to this blend, La Hoja Edición Clasica 1962 was also announced. The La Hoja Cigar Company is a revival of the famed Flor de Florez cigar company. The company was restarted by William Flores, whose father Carlos emigrated from Cuba in 1962 and started the original company. 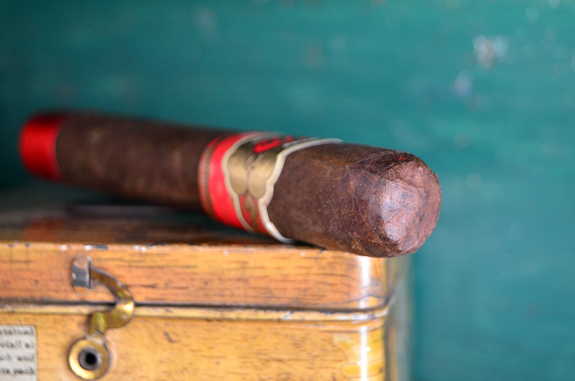 The “1962” in the Edición Clasica Maduro pays homage to that event. In a press release announcing the Edición Clasica Maduro, J. Carlos Gomez Executive Vice President at La Hoja said, “The San Andres Maduro wrapper gives this blend a sweet and earthy touch, but in order for us to incorporate this into a blend that meets La Hoja quality standards, we had to be incredibly discerning about the other leaves to make sure they complement the wrapper. “At La Hoja, tobacco is the conversation. We pride ourselves in our service to our fellow cigar smokers and stand by our promise to deliver a consistent product year after year so you can always remember and enjoy the cigar you fall in love with,” said company President William Flores. 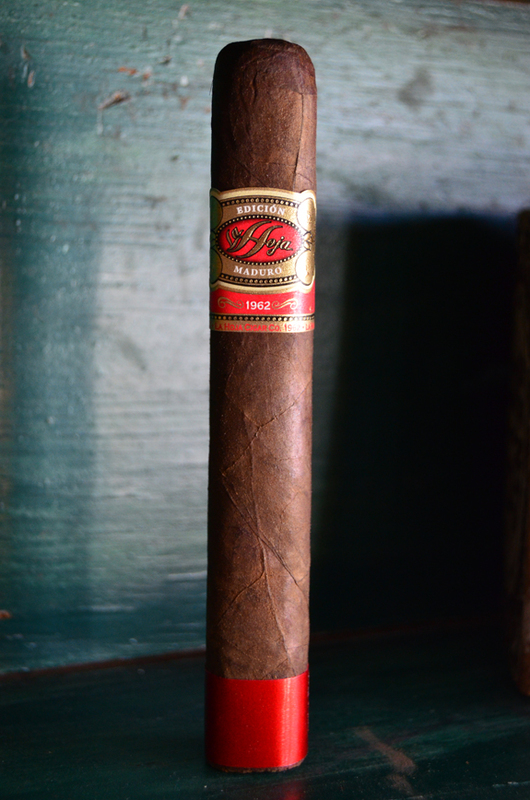 The La Hoja Edicion Maduro 1962 wears a milk chocolate wrapper that is mostly consistent in color other than one medium sized veins that runs the length of the cigar and is lighter in appearance. The oily wrapper glistens in the light and the dark color conceals some of the rustic characteristics of the leaf until a closer examination. I do not find any soft spots in the cigar and the cigar feels evenly and firmly filled through and through. As I bring my nose to the wrapper, I am instantly met with fresh cracked black pepper, but without the spice. The foot aroma on this cigar is unbelievable being either of apple cidar or pumpkin latte with rich cinnamon at the front. Only a minor spice is felt in my sinuses. And this cigar is only getting better with the cold draw. Upon clipping the neatly applied cap, notes of apple, cinnamon, clove, cedar, and pepper greet my palate. 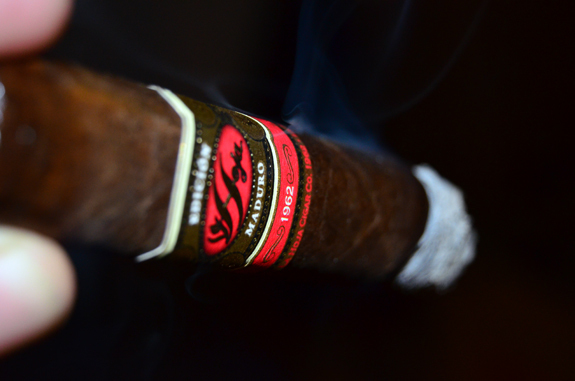 With the cigar lit, the flavors are medium with notes of earth, dry cedar, and dusty cocoa. The mouth feel is somewhat chalky requiring a sip of water every now and then, but not bothersome. The room aroma is very unique and smells like an Italian chef is cooking in the kitchen using a bit too much garlic. At three-fourths an inch, the flavors have crept up to the full arena. The burn-line is almost invisible against the dark wrapper leaf. The finish is long with lingering flavors of earth and toasted notes. Making my way into the second third, I decided it was time to knock the first ash off. No sense in having a long ash contest with myself. I still think it could have gone another half inch or so. The flavors remain consistent with the previous third, as well as the mouth feel of the smoke. There are no flavors overbearing and overall the profile comes across well balanced. Some unidentifiable sweetness is jumping in and out. I would really love to see it stick around. The strength is definitely full at this point and, if it moves up anymore, I’ll need some sugar to counter it. The burn-line is a bit out of whack, but I am hoping it will self correct. Passing the smoke through my sinuses, rich cedar and sharp pepper spice standout that were not as easily noticeable in the mouth. I have not had to pull out the lighter, but the burn contains a crazy wave that is leaving behind a flaky ash. But even with all of its flake, the ash is still holding past an inch. The cocoa has pushed its way to the front carrying along some sweetness and added richness. My mouth no longer has the chalky feel after each puff. Being my first experience with a La Hoja product, I did not set any expectations going into the cigar. However, as I was smoking my first sample and doing some research, my expectation significantly increased when I saw the premium price tag of the La Hoja Edicion Maduro 1962. The chalky mouth-feel and non-evolving flavor profile did not strike me as a $13 cigar. However, the flavors the stick showcased were all well balanced and easily enjoyed. As I mentioned above, the sweetness finally came into play in the final third eliminating the chalky mouth-feel. The second sample I smoked for pictures had a sweetness from the first puff to the very end and no chalk mouth was experienced. If the Edicion Maduro 1962 commonly smokes like the second sample with the added sweetness, I can see this being an option for a celebratory smoke. But if the intentional profile is that of the first sample (which is the one I reviewed), I would be celebrating with a different cigar.